Sophia Blackwell, Dean Atta, Richard Scott, Sogol Sur & some very exciting voices from the floor! a multi-media exhibition with artist Isao Miura, filmmaker Nikolai Azariah & poet Chris Beckett. APT Gallery, Creekside, Deptford SE8 4SA. Open 12-5pm Thursday to Sunday. Private View (with performance): 6 - 8 pm Thursday 28 June. This is a Japanese paper collage installation from the show, called HAIKU CREEK, where Isao has taken cuttings from a series of Haiku I wrote about Deptford Creek and floated them on sumi ink and paint. More pics of the show can be seen by clicking on the image. 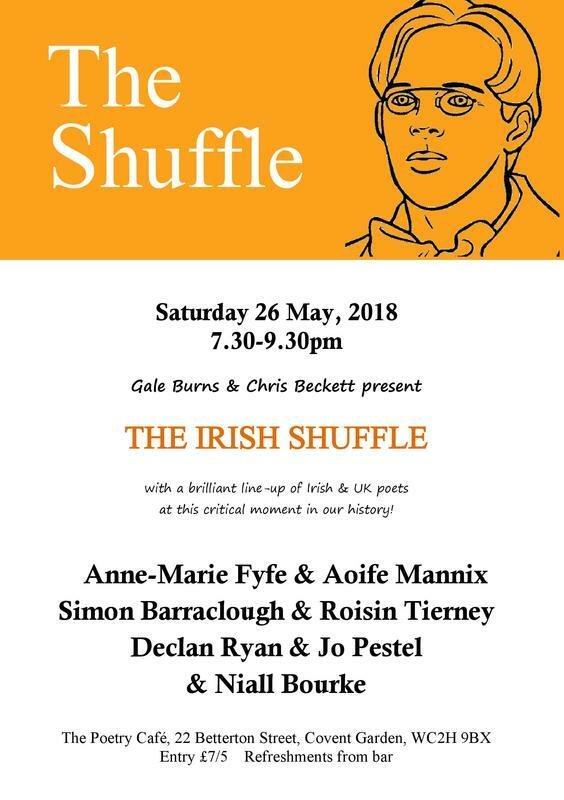 Simon Barraclough & Roisin Tierney, Declan Ryan & Jo Pestel & Niall Bourke. John Clegg, Lotte Lewis, Edward Doegar & Caroline Maldonado & special international guest, Christos Koukis. Mon 22 Jan 2018: In The Pink, Poetry at Pembroke presented by Peter King, with Chris Beckett & Alemu Tebeje. Pembroke College Oxford, 6pm. 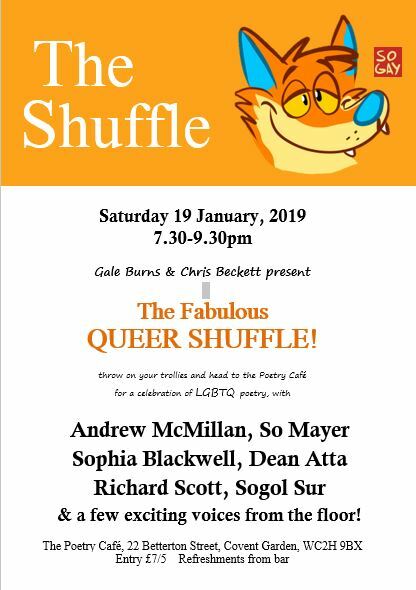 ​8 Dec 2017: Oxford Brookes Poetry Centre reading series, hosted by Niall Munro, with Mark Gilfillan & Chris Beckett. Society Café, St Michaels Street, Oxford, 7pm. Wed 18 Oct 2017: An Evening with Hama Tuma, an Ethiopian “rebel angel”, hosted by Chris Beckett and the Anglo Ethiopian Society, at Keats House, Hampstead, 6.30-7.30pm. Includes launch of Just a Nobody, a selection of Hama’s poems in English and Amharic, issued by Tamrat Books. 1-10 Oct 2017: Chris' translation of Alemu Tebeje’s poem Greetings to the People of Europe is being projected onto Blenheim Palace as part of Jenny Holzer’s exhibition, SOFTER. 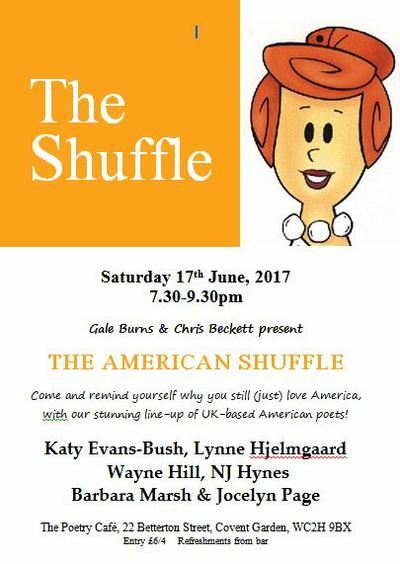 Sat 17 June 2017, 7.30pm: The AMERICAN SHUFFLE at the Poetry Café, Covent Garden, presented by Gale Burns and Chris Beckett, with Katy Evans-Bush, Lynne Hjelmgaard, Wayne Hill, NJ Hynes, Barbara Marsh & Jocelyn Page. 18 April 2017: Tamrat in the Cyclops Cave, Chris' collaborative radio play with Alemu Tebeje is broadcast on BBC Radio 4, as part of its poet-migrant Odyssey series, My Name is Nobody. It tells the story of a young Ethiopian boy growing up in the mountains, playing in his favourite cave, then later becoming a student protester and fighting against the one-eyed Great Policeman who terrorises the country. Eventually Tamrat has to flee for his life, hiding in a truck full of sheepskins, as inspired by the exciting story of the Cyclops in Homer's Odyssey. Feb 2017: Alemu Tebeje's wonderful poem, Greetings to the People of Europe! (first published in MPT's The Great Flight issue in 2016) has been chosen by American artist Jenny Holzer as part of her text projection show in Aarhus, European City of Culture 2017. later also shown in Florence and Mass MOCA, USA. 13 October 2017: the Anglo-Ethiopian Society presents an Evening of Ethiopian Poetry and Music at the Flamingo Restaurant in Shepherds Bush, hosted by Chris Beckett, with poets Alemu Tebeje, Makonnen Wedajeneh and Denise Saul, and singer/krar-player Haymanot Tesfa. 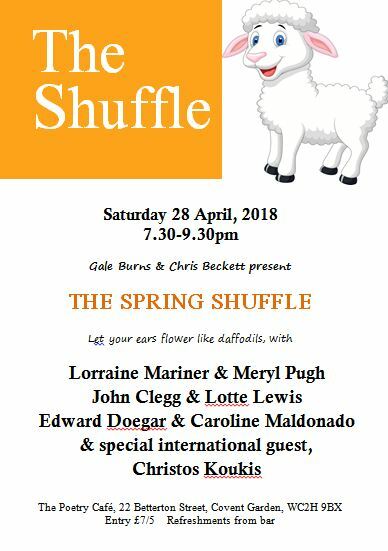 7pm, all welcome. March 2016: Sketches from the Poem Road is shortlisted for the TED HUGHES AWARD! Comments by the Ted Hughes Award judges (Jackie Kay, Ali Smith & Andrew McMillan): "A new road to the deep north that combines translation, sketches and original poetry. This exquisite work maps with wonderful modesty the pathways between the ancient and the modern." Wed 5th Nov 2014, Wimborne Literary Festival, Dorset: Chris Beckett, Annie Freud and Aidan Andrew Dun, from 7.30pm at the Old School, Manswood, Wimborne BH21 5BB. 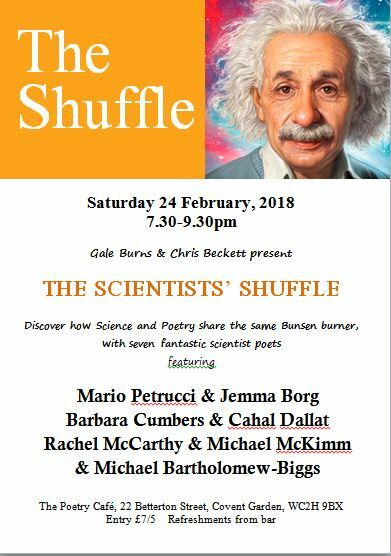 24 Oct 2013, from 7.30pm: Brick Lane Poets Go To Covent Garden, at the Poetry Café, hosted by Fran Isherwood and Jude Cowan Montague. Other readers include Kirsten Irving, Altea Grau Vidal and Bernadette Reed. 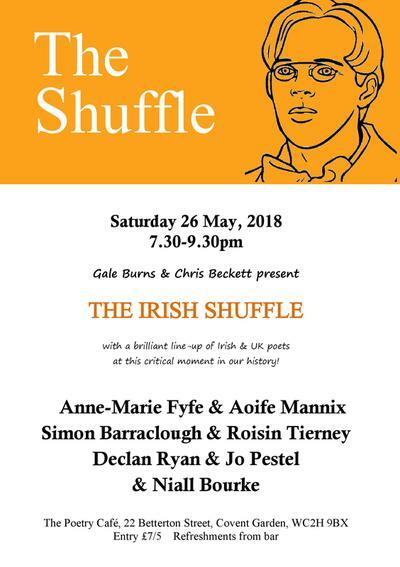 Sat 29 Sep 2013, The Shuffle at the Poetry Café, Covent Garden. Other readers include Julia Bird, Nick Makoha, Jude Cowan Montague, June Lausch, Sarah Westcott and Abigail Morley. Sun 2 June 2013, 3pm at Keats House, Hampstead: Chris will read translations of Aimé Césaire and poems from Ethiopia Boy for Modern Poetry in Translation, together with Frances Leviston and Fiona Sze-Lorrain, introduced by Sasha Dugdale. 18 April 2013: Chris will read translations of Amharic poems by Bewketu Seyoum and Zewdu Milikit at the launch of the spring 2013 issue of Poetry Review, at Keats House, Hampstead, from 6.30pm. 5 April 2013: Chris is one of Ian McMillan's guests on The Verb on BBC Radio 3 from 10pm. 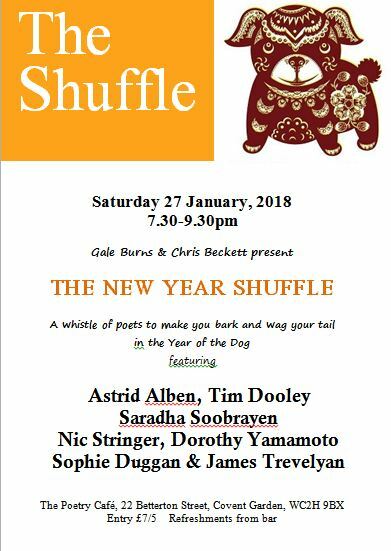 Other guests are novelist Jeet Thayil, performance artist Lowri Evans and writer James Ward. The launch of Ethiopia Boy at the Theodore Bullfrog off Villiers Street, London, from 6.30pm on Thursday 21st March. Chris will be introduced by David Constantine. He will also read in Kendal on 5 July and Manchester on 10 July, details to follow. 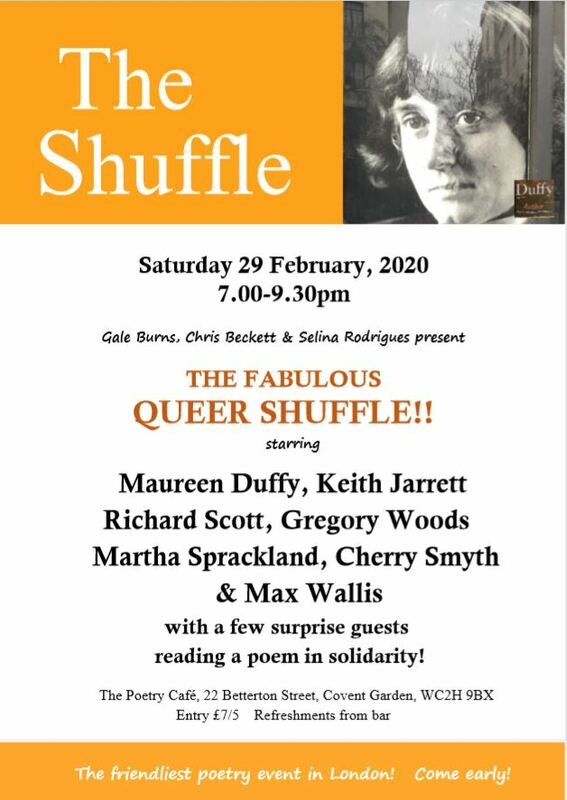 26 Nov: The Shuffle Anthology 2011 launch at the Poetry Café, Covent Garden, introduced by Gale Burns, Jacqueline Saphra and Amy Key. 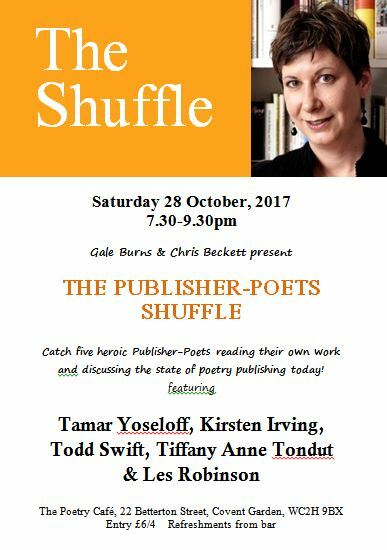 Other readers include Anna Johnsen, Ed Barker, Cheryl Moskewitz, Chrissy Williams, Olli Hazzard. Chris' poem "Boast of the Fly-Whisk" which was published in Smiths Knoll 46 will appear in The Best British Poetry 2011, due out from Salt next month.